Combining a high surface mass with ‘limp’ mechanical characteristics, SIDERISE BM/P series acoustic barrier mat offers optimum sound reduction and dampening performance. Primarily designed to improve the sound insulation value of existing panels of metal, wood, plastic, GRP, etc. It is particularly effective in reducing the effect of coincidence dip resonance found in these stiff, lightweight materials. 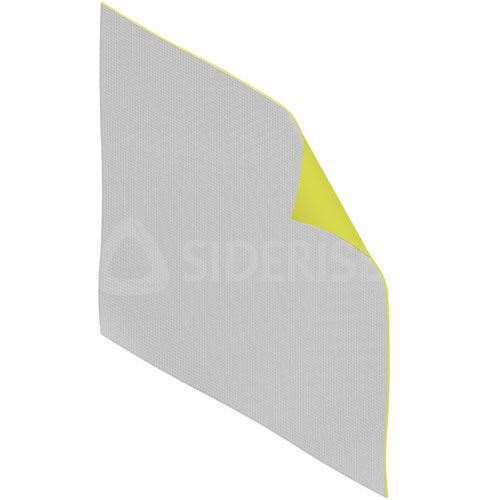 Additionally SIDERISE BM/P series acoustic barrier mat may be used in sandwich constructions between boards materials or as an internal membrane in built up composites where final flexibility is required. Note: This product was previously known as Lamaphon BM/P acoustic barrier/damping mat.